I’ve mentioned before, that my favorite part about selling footing is being able to go to lots of different barns and look at how each barn is designed differently. 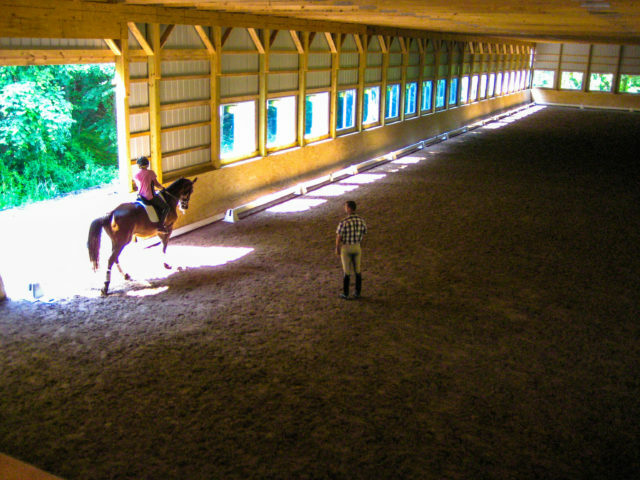 A trend that I have noticed a lot recently is more and more barns are installing kick walls in their indoor arenas. Let’s take a look at the importance of kick walls! Kick walls are both aesthetically pleasing and serve a purpose. A kick wall is a wooden boarder around the base of the indoor arena walls. Normally a kick wall has a bit of a slant to it, around 15°, with the bottom being the most wide. You can build kick walls, or some companies such as Equitrend, has kick walls can be easily mounted. Although kick walls make an arena have a nice, clean finish, they do have a purpose to them too! One main reason for having a kick wall is that it forces the horse away from the wall. Since the bottom of the kick walls are further away from the walls, the horse doesn’t ride right on the wall, which can save your legs if you have a naughty horse! Another major advantage of the kick wall is to keep footing from building up against the walls of the arena. 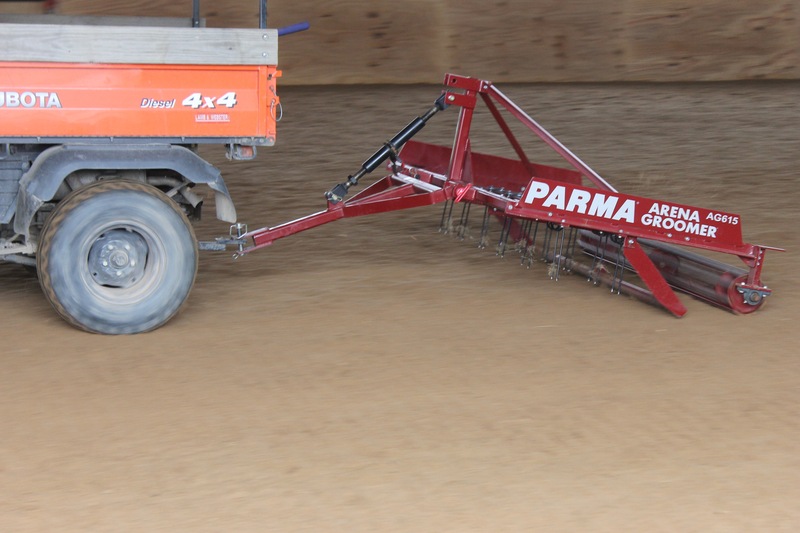 Your groomer can get closer to the kick wall than the indoor arena wall because it won’t get snagged against a pole or beam. You don’t have to worry about the footing getting between the different poles in the barn and not being able to get it out from those areas. 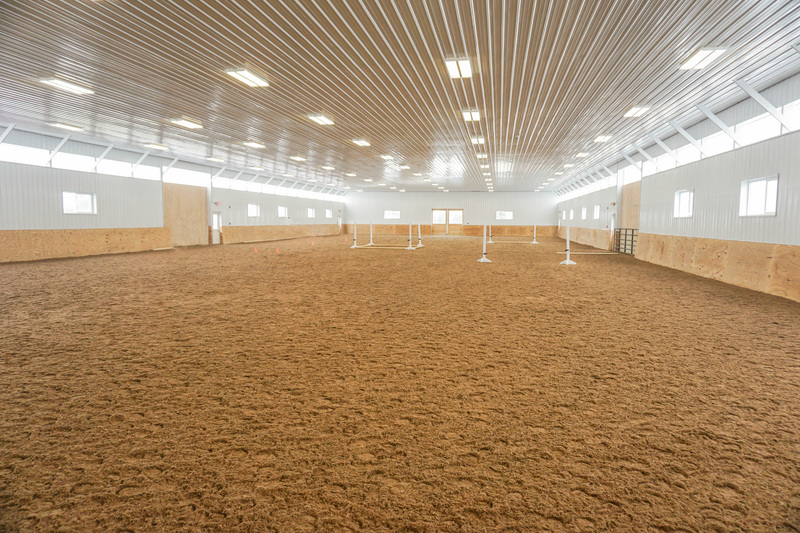 Almost all indoor arenas that install our footing choose to install kickboards. For the fact that it is so popular, we designed a side-view of how the base of your arena in an indoor arena should look when kick boards are installed. Just like outdoor arenas, you have your base installed. The base consists of 2-3 inches of large aggregate stone, a layer of geo-textile fabric, and 2-3 inches of compacted stone dust. If you are going with the traditional wood kick wall, you would build them directly on top of the stone dust. Other types of kick walls may be mounted to the arena wall after footing installation is done. After the kick walls are installed the correct depth of footing is installed depending on what type of discipline is performed in the arena. 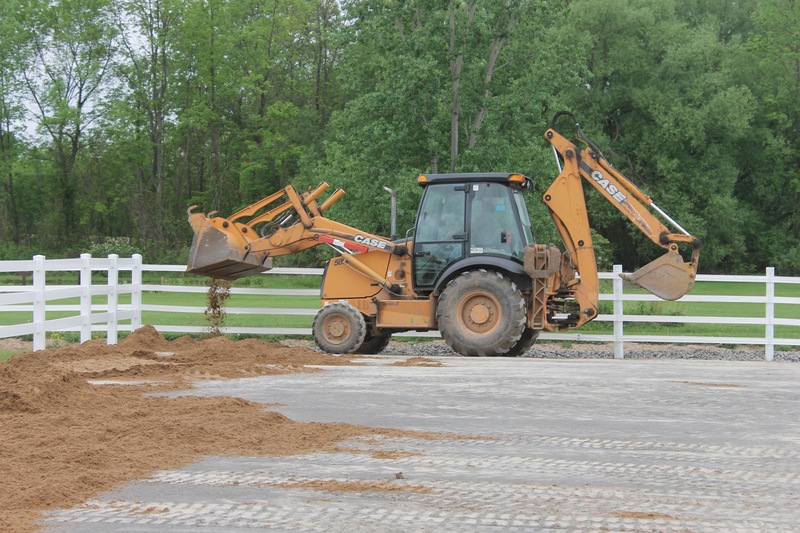 Choosing one of our dust-free footings is the perfect addition to your new arena installation. If you have any questions on base installation, or footing installation don’t hesitate to call us! You can see the side-view of an indoor arena installation below! 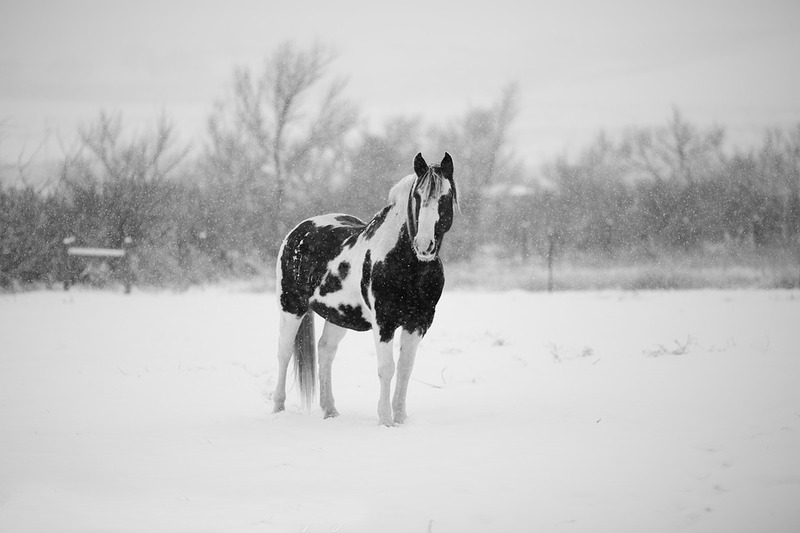 Don’t Get Bored In Your Indoor Arena!